Often, one of the happiest moments in a person’s life is when they celebrate the anniversary of an event or aspect of their lives that they have cherished for a long time. 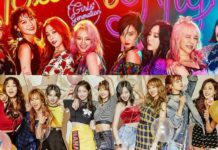 The same goes for the global girl group SNSD, who recently celebrated their 10th anniversary as a group since debuting back in 2007. A group of nine members, SNSD is still going strong even though they do not work as a group as frequently due to the fact that most of the members have their personal schedules arranged, such as releasing solo albums, guest-starring on variety shows, and acting in dramas and movies. Despite this, all eight members haven’t forgotten their roots as SNSD members, and continue to protect the name of SNSD in their hearts. 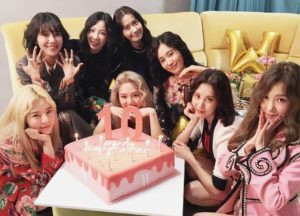 Thus, in this article, Channel-Korea will explain all about SNSD’s activities during the celebration of their ten year anniversary, such as fan meetings, album releases, and concerts. So keep reading! SNSD celebrated the tenth anniversary of their debut on August 5, 2017 by holding a fan meeting titled “10th Anniversary Holiday To Remember.” The event consisted of a live performance of SNSD’s newest songs from their recent album, Holiday Night, including the songs Holiday, All Night, and One Last Time. 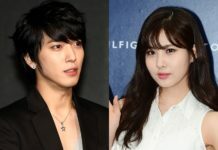 They also performed some of their hit songs, such as Kissing You, Girls’ Generation, Party, Tell Me Your Wish (Genie), and the ballad version of Genie. Moreover, the Holiday To Remember fan meeting also included other event sections hosted by the members, such as polls, quizes, Q&As, a cake cutting ceremony, and a fan event. During the talk segment with the fans, SNSD members revealed their thoughts on several things that happened from the past ten years. Firstly, Taeyeon and Sunny chose their victory on YouTube Music Awards with the music video for I Got A Boy as the most satisfying result they ever had because it was an opportunity to make the group known globally, and proof that they were loved by fans both in Korea and overseas. Secondly, the members unanimously agreed that their most memorable moment as a member of SNSD was the day of their debut, because they had waited for it the most. Regarding the difficulties that they have to face as SNSD, the members had various examples. Sooyoung stated that a solo concert in a large venue like Tokyo Dome can be a burden since they have to fill the big space in such a perfect performance, while Taeyeon believes that the hardest thing they’ve had to do in the past ten years is choosing a title song because it needs to show something new to both the fans and the public. Even so, both Sooyoung and Taeyeon concluded their statement by saying that they were able to solve such troubles thanks to the love and appreciation of the fans and public. While being asked about the secret to SNSD’s bond for ten years, Yoona summed it up by starting that understanding, consideration, and conceding to each other were crucial to the longevity of the group, as this allowed the members to communicate and appropriately acknowledge each other. Moreover, all SNSD members are conscious and take pride in the name of the group. As a result, even though the members often have individual projects and activities, they hold the name of SNSD dearly in their hearts because they want to protect and maintain the group. Lastly, near the end of the fan meeting interview, the members shared their feelings about their tenth anniversary and comeback by saying that they were thankful, and hoped that the fans would enjoy the celebration with them. SNSD returned to promote as a group by releasing their sixth full album (ninth overall) titled Holiday Night. The album was recorded over seven months (November 2016 – May 2017) and was released on August 4, 2017. The album was released to celebrate SNSD’s 10th anniversary with their fans, nicknamed Sones (pronounced “Sowons”). In addition, two of the album’s title tracks, All Night and Holiday, as well as another song called One Last Time, were performed by the group whilst meeting their fans. When asked about the preparation of recording this album, Yoona and Tiffany stated that Holiday Night feels like SNSD’s first album, as the songs contained in the album will make the listeners feel as though the group has been unchanged. Here’s List of EXO’s Baek-hyun and BTS’ V’s Moments Together!